David Hamburg discusses important focal points for philanthropy. 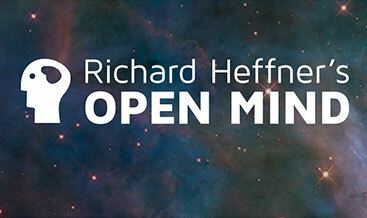 I’m Richard Heffner, our host on The Open Mind. 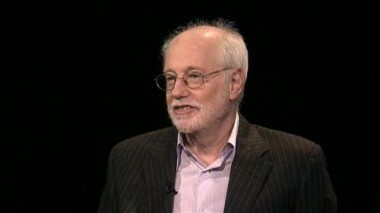 And, as last time, my guest today is Dr. David Hamburg, the distinguished psychiatrist who for nearly 15 years has literally directed the fortunes of the Carnegie Corporation, one of our nation’s largest and most prestigious philanthropic institutions. Well, now David Hamburg is leaving the presidency of Carnegie, though one had only to hear his farewell address, as I was privileged to do mid-January 1997, to know that his influence will long be felt in American philanthropy, indeed, in all of American life. So let me ask him further now about those areas to which he would have Americans most vigorously dedicate our energies, our resources, our intellect as we approach the millennium. David, the last program we talked about children, education. I know that peace, the means of achieving the possibility for living in peace, has been one of the great themes, not only of the Carnegie Corporation, but of David Hamburg. You want to talk about what you’re going to do in that area? HAMBURG:	Yes, I’m delighted to. Those were, as you said, Carnegie’s great themes. Andrew Carnegie himself. Education and peace were his great philanthropic passions. And we came back to that 15 years ago in the deep exacerbation of the Cold War. And as our work on Cold War issues evolved, it became clearer and clearer to us that one had to seek ways of prevention. And the notion of a nuclear holocaust was so enormous that one had to think about prevention. And, in a way that is analogous conceptually to the way we’ve emphasized prevention of rotten outcomes in the development of children and youth. The fundamental logic of it is very similar. But anyway, now, looking ahead, the principal vehicle for expressing that interest for the foundation and for me personally in the next few years will be something called the Carnegie Commission on Preventing Deadly Conflict, which I have the privilege of co-chairing with Cyrus Vance, who was once Secretary of State, and who is one of our wisest elder statesmen, with a group of people from all over the world, 16 of them, and an advisory board of 36 people. Both bodies consist of both practitioners, diplomats, military people, and so on, and scholars who have studied war and peace. And what we are trying to do is to look through the lens of prevention at the next century. Now, it may sound funny, with the Cold War over, what’s the problem, why should one worry. But the fact is that the weapons have enormous destructive power and it’s spreading very rapidly through the world. Even ordinary, conventional weapons, so-called “small arms,” are very, very deadly, as we’ve seen in Yugoslavia and several parts of Africa in recent years. And we’re arriving at a time when just about every corner of the world that could either make deadly weapons in great numbers or at least use them. And so many of our old habits of hatred and violence just really will not do in that kind of world. Moreover, we have a situation with telecommunications which has many virtues and opportunities, but also means that you can spread a kind of contagion for violence as hate radio did in Rwanda and Yugoslavia. So it’s going to be a very dangerous century. And the sheer technical capacity to do harm will far exceed anything even that we’ve done in this horrendous 20th Century. So it is a matter of anticipation. 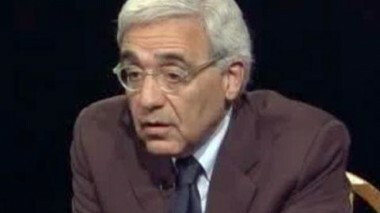 And I think it’s very important for the United States, as the leading country in the world, to show that we recognize the dangers and that we want to play a role along with others, not dominating or pushing people around, but kind of intellectual and moral leadership role to stimulate interest in preventing deadly conflict. And this commission will be one of many ways in which I think that will happen. But it’s got to happen throughout the world. It’s not just an American venture. An American-based foundation took the initiative, but one of the main things we’re trying to do is stimulate interest throughout the world with a series of international forum meetings that bring together scholars and practitioners. And we say to them, in effect, “You’ll have better ideas. Here are some that we’re putting out there. But let’s think about preventing deadly conflict.” We haven’t had a very good track record as a species for millions of years of preventing deadly conflict. HEFFNER:	Well, you know that I was going to ask you about that, about that track record. Even the track record over the past 15 years. What have you seen happening? HAMBURG:	Well, the good news is … I mean, there is some good news. And you can say, “Well, how in the world was it with the, did we get out of the Cold War without even a conventional war between us and the Soviets, let alone a nuclear war?” Yes, there were some proxy wars, and they were bad enough. But, you know, somehow it was possible – and it’s a fascinating subject – that the Cold War wound down without devastation. Any portion of the devastation of which that confrontation was capable. That’s good news. Also it’s good news that in South Africa there was a move from apartheid to democracy. Yes, with some violence, but nothing like the conflagration that might well have occurred, and, indeed, that I think most observers predicted would occur sooner or later. Now, in both cases there is still a long way to go. But the fact that such things could happen as the end of the Cold War with the barest minimum of violence and the end of apartheid with a low level of violence gives one some encouragement. On the other hand, there was a period of intoxication, particularly after the end of the Cold War, when scholars and journalists were saying, “War is over. War is obsolete.” But along came Yugoslavia and Rwanda and Burundi and on and on. Some of the dreadful slaughter doesn’t get much attention. Sudan is probably as much killing going on in Sudan as anywhere in the world right now. Maybe more. But it doesn’t attract media attention, and so it doesn’t exist. But all that to say that we have no reason for complacency. None at all. Even what’s happened just in the few years since the end of the Cold War, let alone looking ahead to the problems that I just sketched. So I think that’s got to be faced. Now, why has that happened? It’s easy to say, and it’s important to say that there are ethnic and religious differences that contribute to these conflicts. But it’s a mistake to say that this violence is inevitable on the basis of ethnic and religious differences. The ethnic and religious differences wax and wane, and sometimes they’re better and sometimes they’re worse. But what we’ve seen in the former Yugoslavia and what we’ve seen in parts of the former Soviet Union and what we’ve seen in parts of Asia and Africa is that political demagogues play on the ethnic and religious differences in quest of power for themselves, and certain background conditions make it easier for them to play on these historic ethnic and religious tensions. One is the rapid economic deterioration which alarms people dreadfully. It is a kind of survival jeopardy. 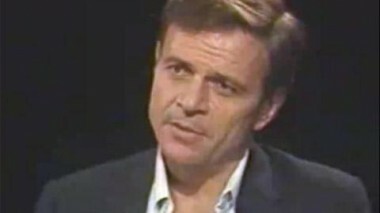 And if there is a serious erosion of social norms (this happened with the fall of Communism), and people don’t know what to believe or what guidelines should apply to their lives, or, in the extreme case, a kind of failed state, no capacity of the government to control violence or to make some reasonably equitable distribution of resources, well, under those conditions, that is, of the rapid economic deterioration in a free fall, and the serious erosion of social norms against the background of ethnic and religious differences, along comes a political demagogue and says, in effect, “The only way we can survive is by beating the daylights out of the opposition. These historic enemies are the real source of the problem. We’ve got to get them out of here,” or, “We’ve got to slaughter them.” And then comes the mobilization of history. All kinds of historical myths, often grotesquely distorted, to say why it is that we have to do this expulsion or this slaughter. So, all that kind of thing, in a most primitive way, has occurred on almost every continent – not quite, but several continents – in the past few years. So no basis for complacency. And if you imagine that kind of path to the future, it’s big, big trouble. And that’s why this commission wants to tackle those problems, no matter how hard the problems are. HEFFNER:	But certainly you’re looking at the two areas that have been defanged, in a sense. You talk about the Cold War and you talked about South Africa. “How come?” must be a question that you’re asking, “How come we managed to escape nuclear conflict in the Cold War? How come South Africa was able to make the kind of progress it did make? HAMBURG:	Well, there are several different levels, and it’s a big subject. But let me mention two or three elements that I think may be generalizable to some extent. Lessons that we learned or should learn from those experiences. One is certainly leadership. No matter what our commission or anybody else might say about institutions and organizations that have the capacity to prevent deadly conflict, unless you have really dedicated, courageous, foresighted leadership, it won’t happen. I think in the case of the Cold War that on our side a whole succession of presidents, but toward the end Presidents Reagan and Bush particularly, and on their side Gorbachev above all, President Gorbachev standing completely out beyond any of the previous Soviet leadership, that they came to understand some very fundamental things. One was the nature of the danger, the nature of the nuclear danger. It was not World War II, as awful as that was; it was something much, much, much worse. They understood it. And finally Reagan and Gorbachev formulated explicitly that a nuclear war could never be won, and must never be fought. And furthermore, those several presidents in the last phase of the Cold War really understood, I think, quite a lot about mutual-accommodation rules. For example, that you mustn’t humiliate the adversary; that you must help him in off a limb, if you had to in difficult circumstances. That you must understand what were his absolutely vital interests. That you must not have grandiose formulations of your own national interests. That you must understand that the other side has to find some decent ways in which they can live their lives, and that you mustn’t be just constantly threatening them with destruction. And so these partly implicit, partly explicit mutual-accommodation rules I believe have a lot of generality to conflicts in the future. Leaders need to understand that. Now, an important thing, particularly in democratic societies (and more and more of the world now is democratic, albeit many fragile, emerging democracies), the important thing is to have a constituency for prevention. It’s very hard for leaders to lead if their belief is that nobody will follow, nobody cares about it, that there may be risks or costs associated with it that would not pay off in political terms. And I think an important thing is in public understanding, in programs like this, that we can reach a broader public understanding of the necessity for prevention, the unacceptability of complacency about violence, and the notion that there are useful things to be done. So that if leaders will grasp the levers available to them they probably can prevent a great deal of mass violence. But somehow we have to find a way to build that constituency for prevention in democratic societies in a way as we have for, let’s say, immunization. There was a time when people were very skeptical, very fearful of immunization, for whatever reasons, immunization was not rapidly applied even after it became available. And now it is. And that’s a kind of simple model of the way we need to come to think about violence altogether. HEFFNER:	Were there any of the actions that Andrew Carnegie himself took,s any of this thinking-through of the problem, that have proven of help in terms of your own thinking about this? HAMBURG:	Yes, indeed. He created several peace palaces, he made a number of proposals. Let me come to those in just a moment. The value of the peace palaces was to bring people from very different backgrounds, often across adversarial boundaries, together under favorable condition; to have a sense that there is real respect to be earned, prestige to be gained by coming to terms with differences, by reconciling with adversaries, by making workable compromises; that sort of thing. So that was, it wasn’t just show; it was the peace palaces providing a favorable condition for convening adversaries. 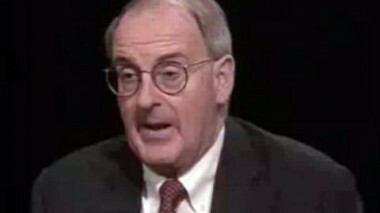 Then he made proposals, for example, about international arbitration of serious disputes. Those have never really been accepted to any appreciable extent. It means giving away something. It means being willing to say that the arbitrator will be able to make a binding decision, and sovereign states have not been willing to do that. But the concept was clearly there. He was saying, “You need some kind of third party help in the passion of the situation and the tunnel vision of adversaries,” that oftentimes a third party can be helpful. Which is not to say that the parties themselves don’t have the primary responsibility; they do. But that concept, I think, has spread greatly since Andrew Carnegie’s day. They’re all in the third parties, more in mediation and facilitating negotiations between the parties than in arbitration, but still the third-party-intervention concept has become a very important one and is a large part of the work of this commission. One final point: He said there ought to be some kind of international police force. Again, a hard thing to accept. Sovereign states do not want to run that kind of risk. And yet we have seen that there’ve been a number of occasions when, in effect, international police force has been helpful, and could be more so. You know, the UN military commander on the scene in Rwanda has said that if he could have had rapidly 5,000 troops from an international force when the violence was incipient, he could have put a stop to it and thereby allowed time for other processes to intervene to resolve the dispute. So we haven’t heard the last of that subject. But I do think Carnegie, by and large, was ahead of his time. He had very good ideas that were, in a sense, premature. He went to presidents and other leaders and tried to persuade them. Maybe he banged on them a little bit about considering such ideas. And, to some extent, they did. But it takes a long time for us to accept that kind of notion. HEFFNER:	You say it takes a long time for us to accept that kind of notion, which raises for me a question I’ve always wanted to ask you, David, and haven’t. I don’t know why I haven’t, but I’m gonna now, by gosh. To what degree, to what extent has your own training as a psychiatrist, as a medical person and as a psychiatrist contributed to your understanding of and your thinking about these twin areas of your concern? HAMBURG:	Well, from my perspective, it’s been very useful. You might talk to others who would say it’s been a distortion or a diversion of energy or something. But let me give a couple of examples. First, on the medical orientation. Over the years of my career in medicine I came more and more to believe in preventive medicine and public health. I felt that the deeper insights acquired through biomedical and behavioral research would permit us to know increasingly how to intervene preventively. And the immunization model that I mentioned before is a very good example of that. And simply what I’ve done is to try to apply that model of fundamental research leading to insights for public health as applied to the growth and development of children, on the one hand, and to the relations between human groups on the other hand. By the way, not just relations between the states, but groups within states as well, but large groups that are powerful and can cause immense damage. So I do think the medical public-health model to a degree is useful. For me, at least, it shaped a preventive approach to almost everything I’ve done at Carnegie. It’s a question of identifying certain dangers, certain rotten outcomes, and then asking what are the major risk factors that can get you into that disaster, and how can we address the risk factors in advance. Then, the other point I would say about the experience in psychiatry: Within medicine, whatever else psychiatry does, it deals very much with human relations. And psychiatric training experience principles should give you a certain sensitivity in human relations. And I think that that has been helpful to me. The capacity to understand other people, how they feel, where they’re coming from, what their biases are, how I look to them, etcetera. I think we apply that, to a certain extent, between nations and between adversarial groups. I think that, for example, as I said before, Reagan and Bush on the one hand, and Gorbachev on the other, really came to have some understanding, and had to, of the point of view of the other. I think their sensitivity and human relations was heightened as they interacted with each other. But I think that’s a very broad concept, not just for leaders, but at different levels of interaction across adversarial boundaries. So I do think that the concern with and perhaps sensitivity to human relationships has helped me a lot in the problems we address and the way we address them. 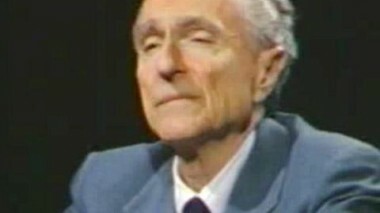 HEFFNER:	Harold Lasswell wrote that wonderful book Psychopathology and Politics. Will you write Psychopathology and World Peace? Or The Prevention of Violence? HAMBURG:	Well, I should try to do a piece on that. I’m going to do a book separate from the commission, which would be more personal and more idiosyncratic and take an account of my own particular background more. And I think a piece of that would be on, what? To put it in an extreme way: the mad leader problem. I mean, there is an element of, for example, of paranoid orientations in all too many leaders. In some systems, it may be that it’s even helpful to get to the top of the system if you’re extremely suspicious and ruthless and so on. But what you do with that power when you get there, both internally and externally, may be devastating. And I would like to try my hand. I’ve visited that from time to time, and I would like to revisit it again. I think in democratic societies it is kind of important to understand what are some of the problems of leaders that, in effect, a kind of, loosely speaking, diagnostic capacity for the public at large. I think we have some of that. We have a sense when leaders are kind of going overboard. But it is a very important problem, I think, of emotional disturbances and paranoid attitudes in leaders all over the world. HEFFNER:	You think that is truer, or has been truer, in the 20th Century than in other times? HAMBURG:	I really have no idea about that. My hunch would be that it’s been a fairly consistent part, from a rather superficial reading of history. I think it’s recurred over and over again through history. But the amplification factor is greater. I mean, Hitler, let’s say, or Stalin, had at the disposal of their disturbed mentalities immensely more power than, say, Ghengis Khan. HEFFNER:	But we’ll remember them all in the same way. David, we’re talking about leadership here in the observations you’ve made about the potential for world peace. I gather from what you said about Reagan and Bush and Gorbachev that your emphasis is upon leadership. HAMBURG:	I think that’s a very, very important part of it. Let me illustrate that by saying that the approach this commission is taking is to ask what kind of tools and strategies might be available to the international community for dealing with serious company. But the way, why did I say “the international community?” Because there has to be some kind of pooling of strengths and sharing of burdens. No one country, even as powerful as the United States, can do all that alone. We can’t be solely the world’s policeman and diplomat and everything; got to be sharing of burdens of pooling of strengths, and a kind of mutual-aid ethic in order to prevent the deadliest conflicts now. But, all right, so let’s say you get some modicum of international cooperation for that lofty purpose. What then? What do you have to do? Well, we’re going to try to lay out a set of tasks and strategies, preventive diplomacy and economic sanctions and rapid-deployment forces for the near-term emergencies and more fundamental structural preventions, building democracy and building market economies and building expanding international law at the fundamental level of providing conditions that are less likely to be explosive. But, so you ask who could do that, and we say, well, governments have a lot to do with that, especially democratic governments, especially large, powerful, democratic governments. We also say the United Nations has a greater role to play in that if it’s done right in the future. We also say that regional organizations like the Organization of American States and so on could have a role to play. But, having said all that about governments and intergovernmental organizations, we then go on to say something that I think is somewhat novel about civil society, a set of institutions and organizations that go far beyond government, may have some government involvement, but are largely independent: business, religious institutions, the scientific community, educational organizations, the media, and nongovernmental organizations that are specifically concerned with conflict, like the Carter Center in Atlanta. So we say, “Okay, there’s a lot of nongovernmental activity out there that could potentially do a lot to prevent deadly conflict.” But at every level at which you examine it, be it governments or governmental organizations or the organizations of simple society, the more we look at it, the more we think leadership matters. But leadership matters in the intersection with their constituencies, with their groups. And that’s why I say we have to build public understanding all over the world and a constituency or a set of constituencies for prevention. Just take for one moment the religious institutions. Throughout history they’ve been often associated with exacerbation of a conflict. HAMBURG:	And right up to the present time. And yet we have some marvelous examples, Archbishop Tutu in Sough Africa, Cardinal Singh in the Philippines. Some of the leadership of the churches in East Germany. There are examples out there of what leadership can do. So we find in the commission we keep moving back and forth between the leaders and what can really make them effective with respect to preventing deadly conflict, and the groups that support or can support or can stimulate or instigate the leaders to exercise their responsibility for leadership. HEFFNER:	You really have quite a task cut out for you. HEFFNER:	And I think that’s an important point. As we’ve got about 30 seconds left, David, let me ask you: Do you see the United Nations as playing a major, major, major role? HAMBURG:	It could, in the future. We’re trying to lay out a preventive agenda for the United Nations. And, to some extent, this was in the Agenda for Peace that was published a few years ago by … And, indeed, to a large extent, it was part of the original concept of the United Nations. The Cold War interfered. And now we have to explore it to see the extent to which the United Nations can be helpful. Our commission thinks it can do a much more effective job than it has up to now. HEFFNER:	David Hamburg, thank you for joining me again on The Open Mind. And thanks, too, to you in the audience. I hope you join us again next time. And if you would like to a transcript of today’s program, please send $4 in check or money order to: The Open Mind, P. O. Box 7977, FDR Station, New York, New York 10150. .